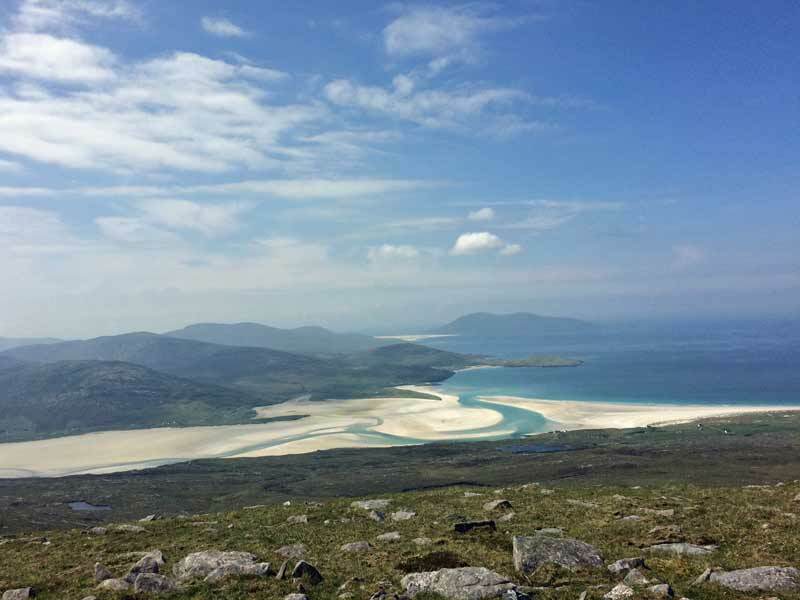 The Outer Hebrides, also known as the Western Isles, are one of Scotland’s best kept secrets for active travel, such as walking, hiking, road cycling and mountain biking. There is no better place to experience the combination of pristine scenery, intriguing culture and a way of life which doesn’t seem to have been caught up in the hustle and bustle of the 21st century. 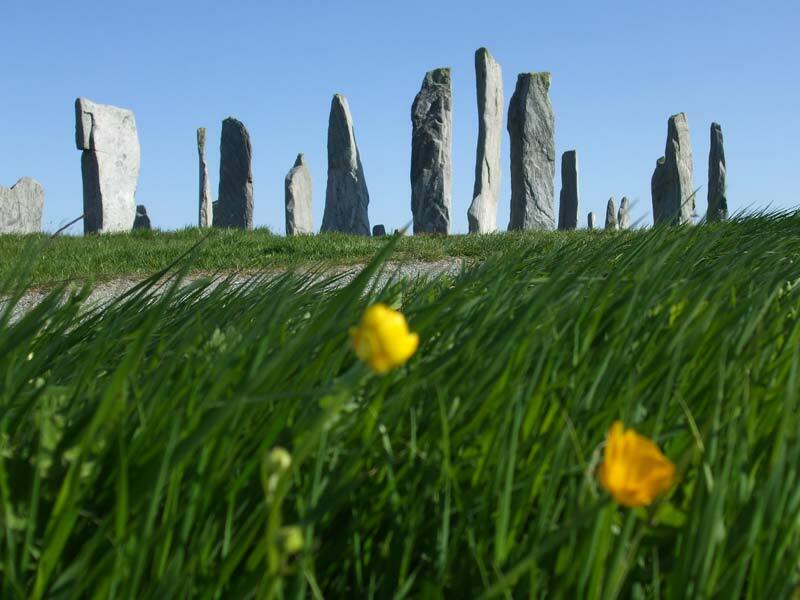 A landscape of such outstanding beauty merges with megalithic history in a place where English is the second language. Together this makes a cultural omelette on the western edge of Europe that is a firm favourite with our travellers. 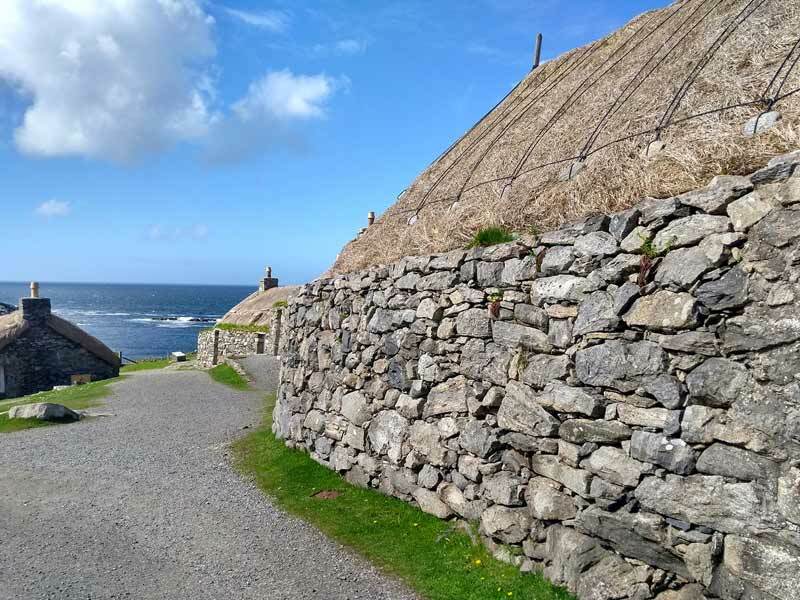 In recognition of these outstanding elements, National Geographic included our Outer Hebrides and Skye walking trip in their Top 50 Tours of a Lifetime. 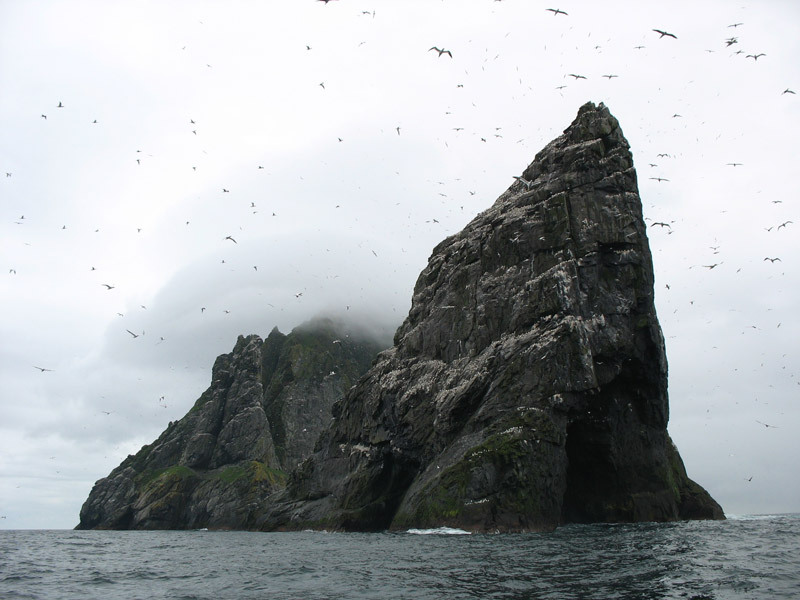 The journey to St Kilda is not an easy one. 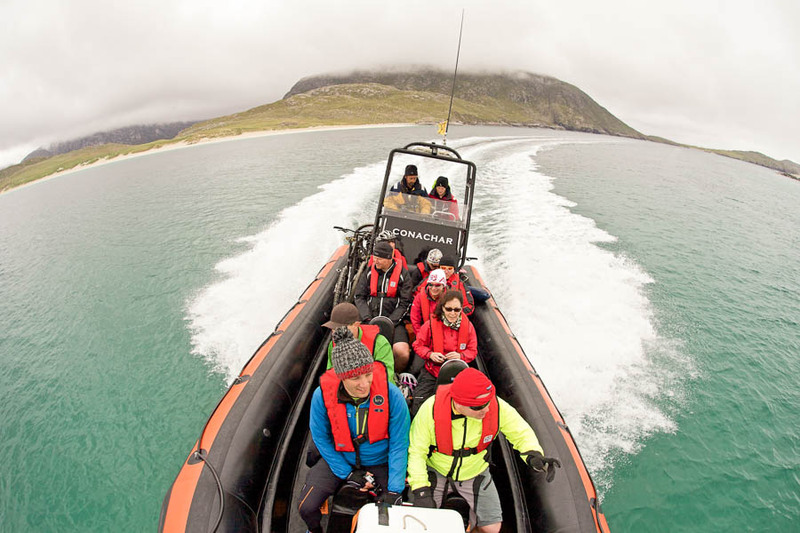 However, for the adventurously-minded traveller, the remoteness, extraordinary scenery, human and natural history all contribute to make a visit to these islands unquestionably an experience of a lifetime. 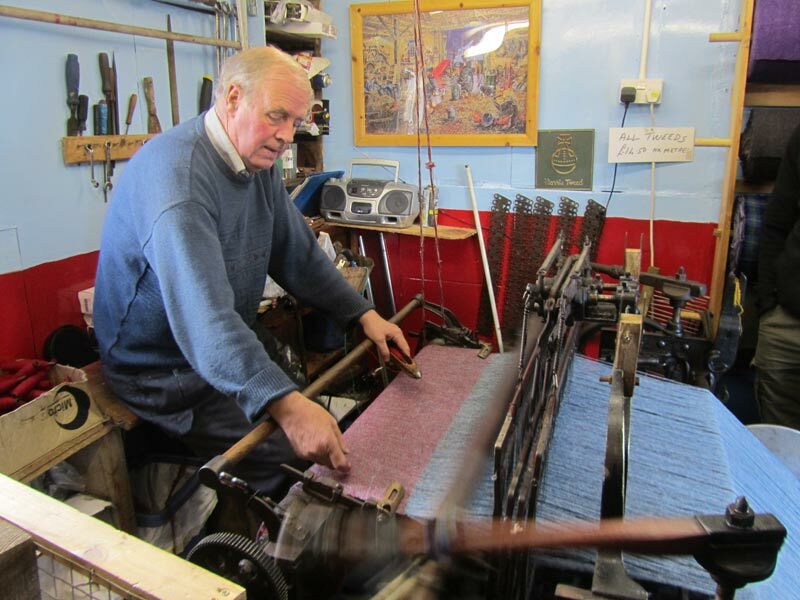 If you are interested in visiting St Kilda, we can arrange this as part of a tailor made trip. 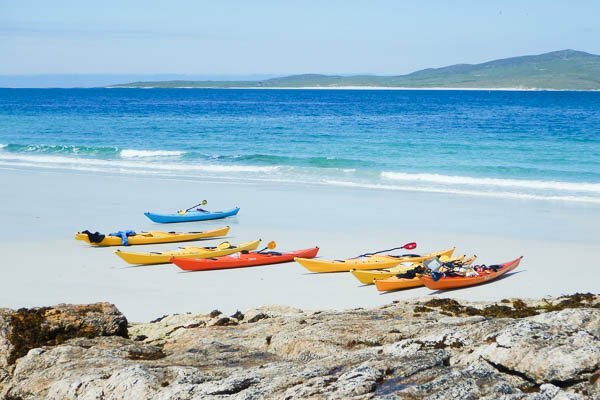 Wilderness Guide Donald shares his Top 5 Sea Kayaking spots on the Outer Hebrides. 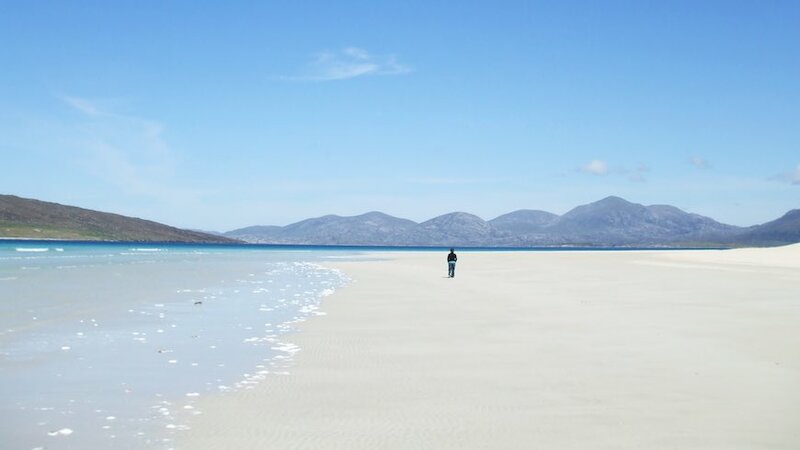 The iconic white sands of Luskentyre, Outer Hebrides. 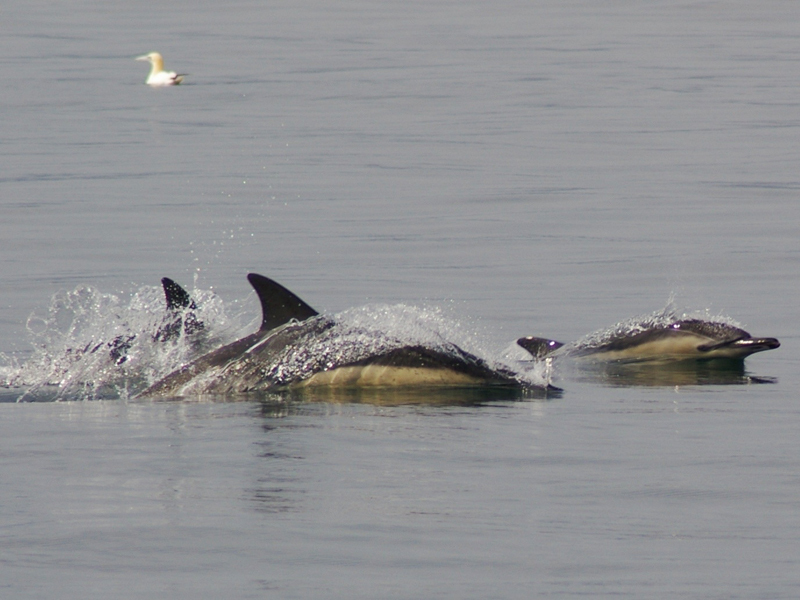 It couldn't be anywhere but the Hebrides!